Sophie Collings speaking at Vespers. Media by Emily Hogue. 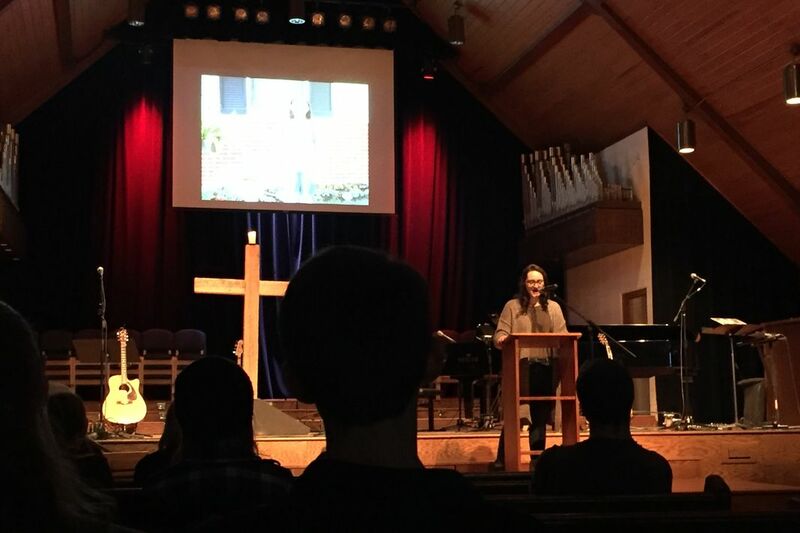 The start of the new semester means the start of Vespers once again, which also means new speakers, great worshiping, and coming together as a student body. 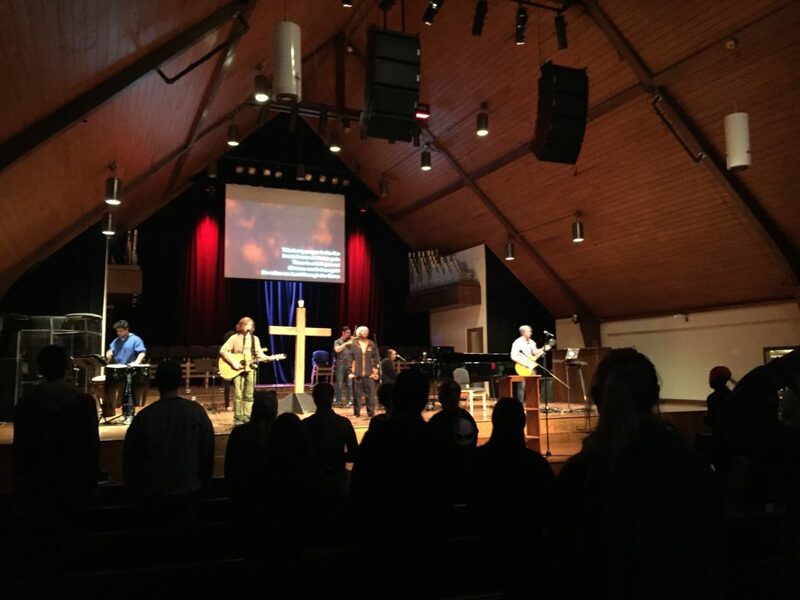 The second week of Vespers started off strong with some worshipping from one of Greenville University’s pursuit teams and continued with a great testimony from Sophie Collings. After a few songs, Brianna Stewart, a great friend of our speaker, introduced Collings. Collings was the speaker at Vespers for week two, and she was a great one at that. Collings is a sophomore at Greenville University after transferring here this past fall. She is double majoring in theological studies and social work. With her degree, Collings wishes to go into ministry, specifically for the homeless. Her passion for helping the impoverished community is pushing her help those less fortunate than herself. Along the way of helping those in need, Collings wishes to open up a non-profit, continuing her passion for ministry and helping the less fortunate. She has already had some experience in career choice after she graduated from high school. 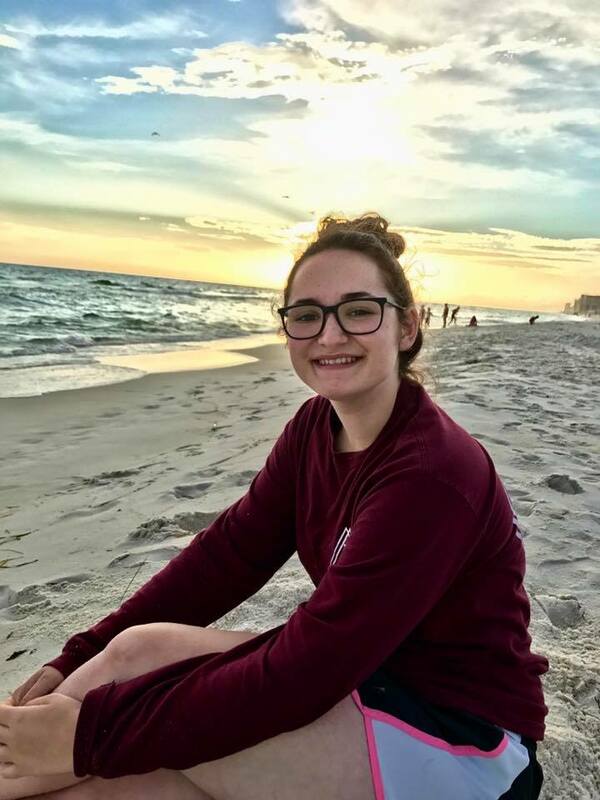 Collings had an internship with her hometown church where she greatly helped with the church’s kid ministry as well as their worship ministry. Getting into the actual speaking, Collings gave her testimony about questioning her faith. As a kid, Collings had not encountered many troubling experiences. She had a very close-knit relationship with her family, especially her brother. Nothing horrible happened to Collings and her family, and Collings had a great and happy childhood. As we grow, however, we learn about the hard parts in life, which is exactly what she went through. Her first traumatic event she experienced was the death of a classmate in the sixth grade. Collings did not know what death was at the time and did not know how to process it. She greatly questioned her faith in wondering why something like that would happen to a little girl. Collings also opened up about her anxiety and depression that started to grow in high school. A part of going to high school is branching out and finding new friends. However, like several teenagers, this was difficult for Collings. She found no reciprocation from the people with whom she wanted to become friends with. This lowered her self esteem furthering her trouble with anxiety and depression, which led her to questioning her faith. She had forgotten God who could save her from her troubles. As high school continued, graduation was just around the corner for Collings. She was so excited to leave high school in thinking her mental problems would be left behind as she moved on to better things. She was wrong, however, as she thought ignoring her anxiety and depression would fix them. Collings explained how she dealt with her mental obstacles for several years and had done nothing to make it better until one day when she had had enough. If you are struggling with anxiety or depression, finding help is the best solution. This can be seen by Collings. She realized that she could not be afraid anymore in seeking help. She sought out help from not only doctors, but from God. Collings stated, “God delivered me from my darkest pits of despair.” Though she questioned her faith through the hard times she had endeavored, in the end, Collings not only found God once again, but now relies and trusts Him. Hello! 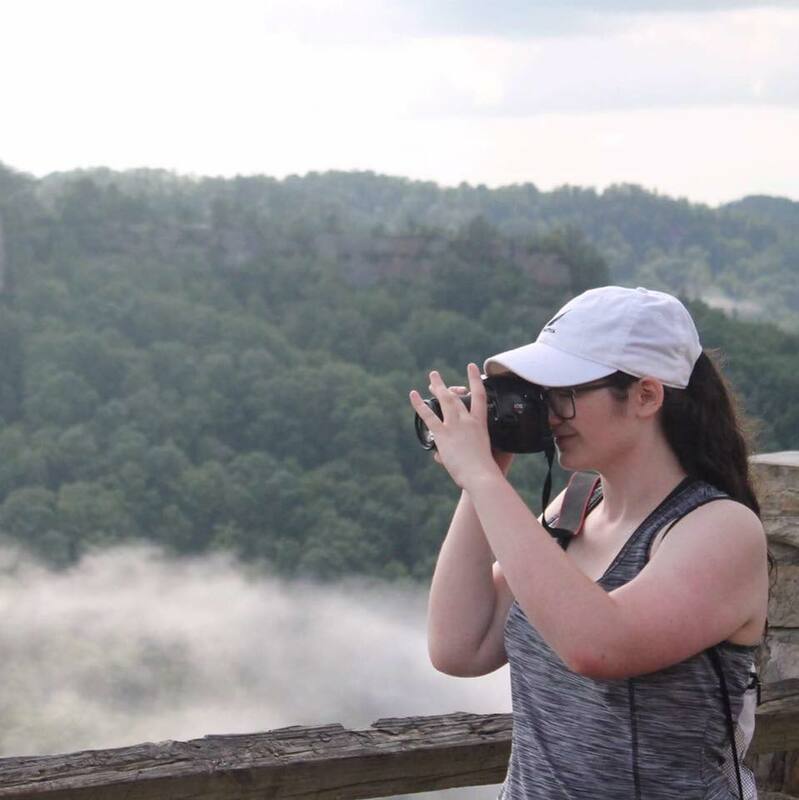 I'm Emily Hogue and I am a Digital Media major from Sorento, IL. I love everything entertainment - from movies, TV, music, and theatre!